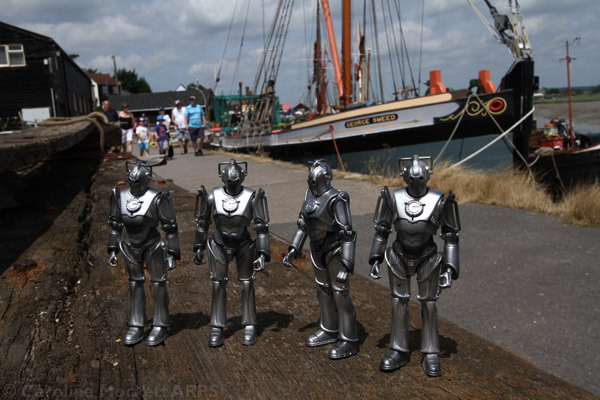 I was walking along the quayside in Maldon this afternoon, admiring the old barges which were moored up, when all of a sudden this quartet of confused looking Cybermen materialised as if from nowhere in front of me! How odd… They had a quick chat amongst themselves and then set off to visit the Bikes & Barges event which was taking place a little further along the quay. Perhpas they are a fan of Harley Davidsons? 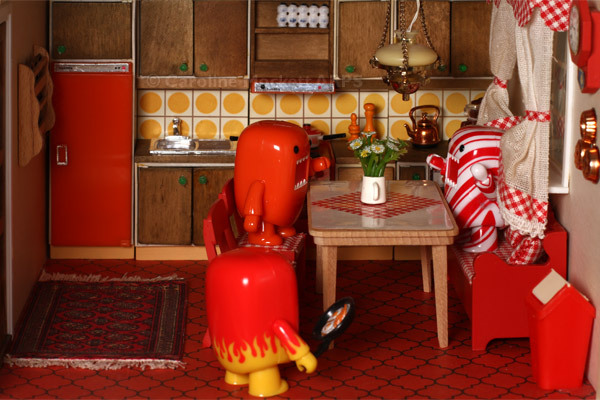 The Domos think that a Good Morning always starts with a hearty fryup. Fiery has been on cooking duties today, while Benny and Candy await (rather impatiently) the arrival of the grub. 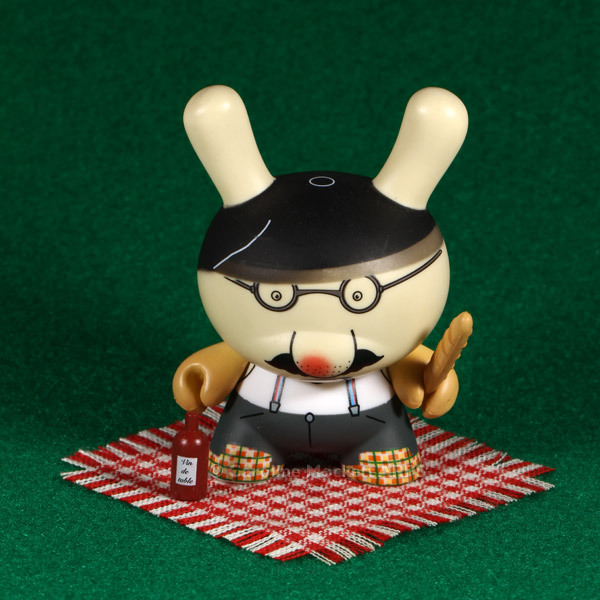 Pierre is a typical Frenchman. He loves to go out for a pique-nique with a baguette and a fruity bottle of red. 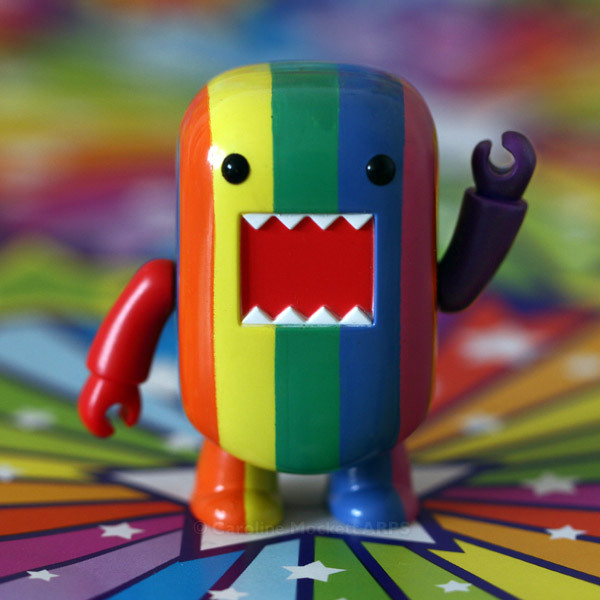 Bowy the rainbow Domo arrived today! The other Domos were very excited because they have wanted him to come and live with us for ages but he’s really hard to find! As well as being an attractive looking chap, Bowy is also a talented musician. 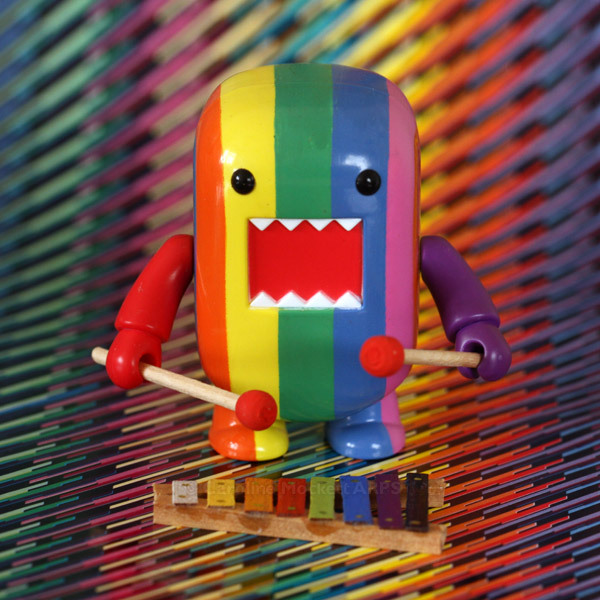 Once he had been welcomed with cookies and hugs, he gave the other Domos a wonderful performance on his rainbow coloured Xylophone! There are still a few empty cubby holes here so we are still looking hard to find the right Domos to fill the gaps! 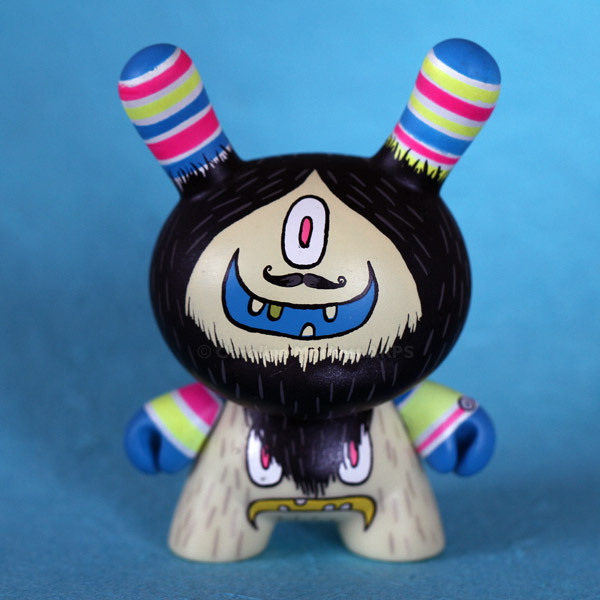 Toothy only has a few teeth, but he’s always keen to show them off with his big smile!